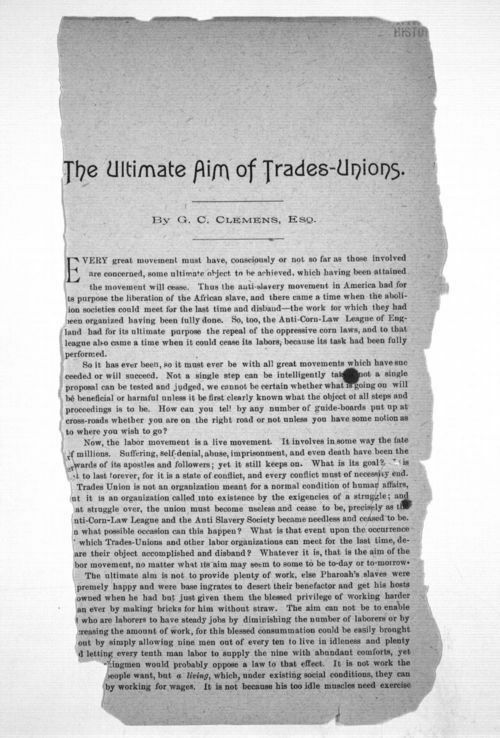 This pamphlet by G. C. Clemens discusses the need for labor reform through trade unions. He compares that movement to other 19th century reform movements such as the antislavery movement. The original is fragile and some of the content is missing on the interior margin of the pamphlet.